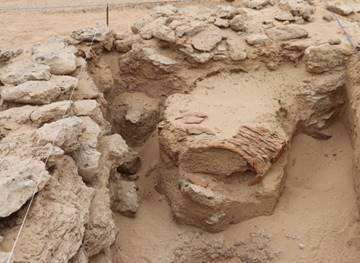 ABU DHABI, 24th May, 2017 (WAM) -- Excavations by Abu Dhabi Tourism and Culture Authority, TCA Abu Dhabi, archaeologists have revealed stunning evidence of a 4,000-year-old trading post on Sir Bani Yas island off Abu Dhabi’s coast. The excavations focused on a stone-constructed building at a site on the island’s south-west coast. Inside the building a number of fragmentary large jars were found, which were made in Bahrain around 4,000 years ago and belong to a time when the UAE, Bahrain, Iraq, and south Asia were engaged in intensive maritime trade with the jars transported through the Arabian Gulf by ship. 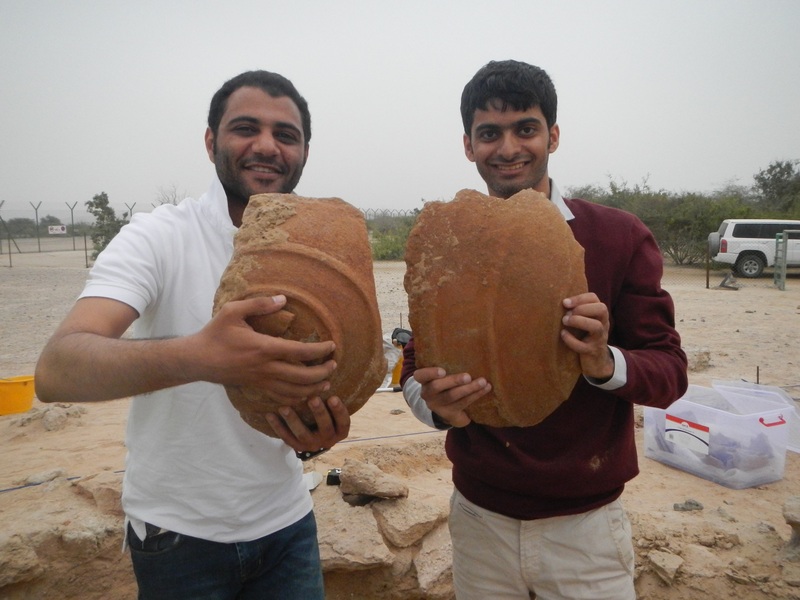 Although fragments of pottery like these have been found before in the UAE, this is the first time that several complete examples have been discovered. Analysis of the artefacts is just beginning, but preliminary results indicate that pottery from Pakistan was also found. Bronze tools are also present, attesting to the important role that the UAE played in the export of copper to its Bronze Age neighbours. Along with the bronze tools is a well-preserved fish hook. TCA Abu Dhabi archaeologist Abdulla Khalfan Al Kaabi said, "The moment when we discovered the Dilmun Stamp Seal was very special. We immediately realised the important implications of this find. Holding this in our hands for the first time since a Bronze Age merchant had used it almost 4,000 years ago was a magical moment." Together, the artefacts and the building indicate that Sir Bani Yas held an important position in Bronze Age maritime trade. This trade is well-documented from both ancient texts and archaeology and involved the exchange of copper from the Al Hajar mountains of the UAE and Oman, semi-precious materials from south Asia, and goods from Bahrain and Iraq. The trade relied upon ports and staging posts in which boats could stop, exchange goods, and replenish supplies. In many ways, these ports represent a pre-cursor to the Free Zones that are an important part of the UAE economy today. Why Sir Bani Yas was particularly important in this trade is still being investigated, but there is a long history of occupation on the island, made possible, in part, by the presence of fresh water. Even in the comparatively recent past, the village of Zahir had palm gardens irrigated with well water. The island is also close to the mainland, so goods could be easily exchanged. The finds from the excavation came from just one building and surface remains indicate that several other buildings may be located at the same site. TCA Abu Dhabi archaeologists are just beginning the analysis of material from this year, and they will present their results at an international conference at the British Museum this July. Other sites on the island, such as the early Christian monastery, are well-known. The Bronze Age site will now also feature as an important part of a heritage tourism trail planned for the island. The results achieved thus far add another level to the remarkable history of Abu Dhabi, a history being revealed by on-going TCA Abu Dhabi excavations on the islands, the coast, and in the Al Ain region. TCA Abu Dhabi archaeologist Ali Abdul Rahman Al Meqbali said, "I am proud to be involved in researching the prehistory of Abu Dhabi Emirate. Our recent excavation on Sir Bani Yas island has rewritten our knowledge of contacts with the Bronze Age civilisations of the Arabian Gulf and beyond."